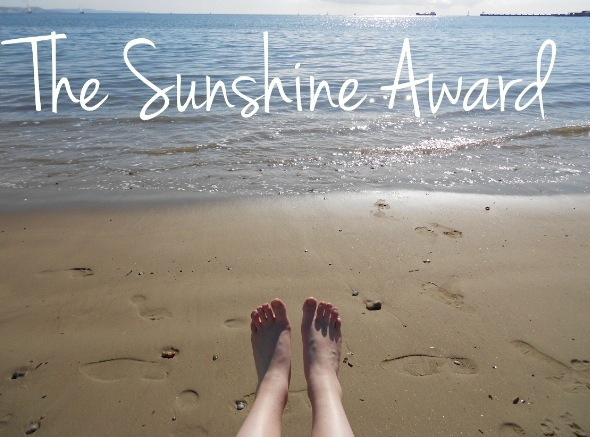 Lauren Green has nominated me for The Sunshine Award! Thanks Lauren ! I would like to travel back in time to be able to do all the things that I do not have time now. 2. If you had to drink one drink for the rest of your life what would it be? 3. What’s the song that has the most meaning to you? That’s a tough question. I do not have a particular song. Many of the songs reminds me of different moments of my life. 4. If you could marry any celebrity who would it be? 5. What was your main intentions in starting your blog? I wanted to show people my work. The Chronicles of Narnia: The Lion, the Witch and the Wardrobe. I watch the movie every Christmas. It reminds me of the winter, which I love. And of course, phenomenal Tilda Swinton. 8. What do you most look forward to in life? 9. If you could change any moment in time what would it be? I would not change anything. I like my life the way it is. 10. Would you rather be always hot or always cold? Where do you see yourself in 10 years. Optimist or a pessimist? Why? Do you walked up the tree to save my cat?